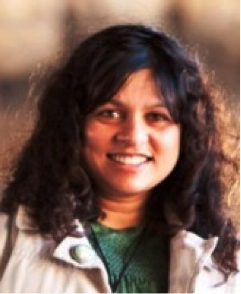 ​Michelle is a Goan-Anglo-Indian writer who lived in Kenya and UK before migrating to Australia. 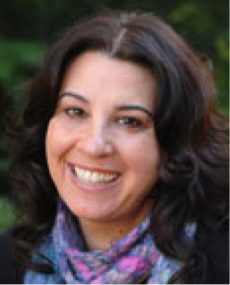 She studied creative writing at Macquarie University and worked as a General Practitioner in medicine. Her poetry has been published in Australia and UK and online. Her poems are anthologized in 30 Australian Poets ed Felicity Plunkett (UQP), HarperCollins Anthology of Modern English Poetry ed. Sudeep Sen, Contemporary Australian Poets (Turnrow) ed. John Kinsella and The Yellow Nib Anthology of Modern English Poetry by Indians (QUP, Belfast) ed. Sudeep Sen and Ciaran Carson. Her second collection Vishvarūpa was shortlisted for the Victorian Premier’s Literary Awards. She received the Val Vallis Award and was highly commended in the Blake Poetry Prize. From 2013 she was the CAL/UOW International Writing Fellow at Kingston University, London. Sulari was born in Sri Lanka and lived in Zambia and UK before migrating to Australia when she was seven years old. She graduated in law and worked as a corporate lawyer before abandoning her legal career to write books. She is the author of the award-winning Rowland Sinclair Mysteries, historical crime fiction novels set in the 1930s. The first in the series, A Few Right Thinking Men was shortlisted for the Commonwealth Writers' Prize Best First Book. The second, A Decline in Prophets, won the Davitt Award for Best Adult Crime Fiction. Paving the New Road was shortlisted for the Davitt Award for best crime fiction 2013. In September 2015, she was writer in residence at Gorman Arts Centre Canberra, and Eminent Writer-in-Residence at ACT Writers’ Centre. Dr Kerryn Goldsworthy held a lectureship in literature at the University of Melbourne for 17 years before moving home to Adelaide in 1998 to work as a freelance writer. She has served as Editor of Australian Book Review (1986-1987), and as a member of the Literature Board of the Australia Council (1998-1991). 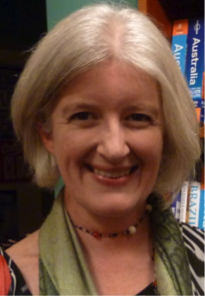 She reviews regularly for the Sydney Morning Herald, The Age, Australian Book Review and The Sydney Review of Books. 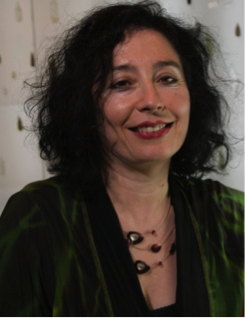 Since 1986 she has served as a judge for several major Australian literary prizes including the Victorian Premier's Literary Awards, the Adelaide Festival Awards for Literature, the Miles Franklin Literary Award, and the Commonwealth Writers’ Prize. 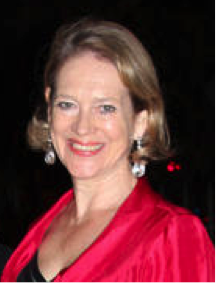 In 2012 she was invited to chair the inaugural judging panel for the newly-established Stella Prize for Australian women writers, and was chair of that panel for three years (2013-2015). She has written three books, the most recent of which is Adelaide, in the NewSouth Books ‘Cities’ series. 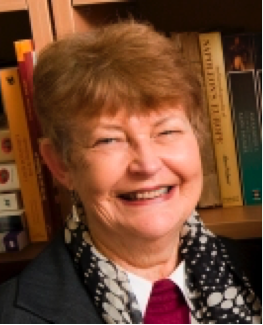 Rosemary, since retirement, is an Honorary Associate Professor in English at the University of Sydney. She has published widely on poetry and poetics, as in The Written Poem, Semiotic Conventions from Old to Modern English. Her own volume of poetry, The Possibility of Winds, was published in 2005. Her most recent academic publications are on different understandings of time in English literary narratives and on legal discourse. 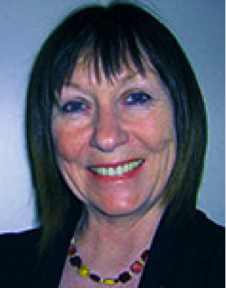 She is Chair of ISFLA (International Systemic Functional Linguistics Association). ​Born in Tashkent, Uzbekistan, Elena studied music in Moscow, Sydney and Hanover. She has created works across most genres: rags, operas, works for robotic instruments, choral symphony, chamber operas and soundtracks to silent films. In 2004, she was awarded Green Room and Helpmann Awards for the ballet score Wild Swans. Her music featured at the opening ceremonies of the 2000 Sydney Olympic Games and 2003 Rugby World Cup. In September 2012 her adaptation of three Monteverdi operas premièred at the Komische Oper Berlin and was broadcast live across Europe. Her most recent premieres include Prelude and Cube by the Australian Brandenburg Orchestra, Saxophone Quartet Concerto Five Chapters in Lausanne, and the 2015 TV opera The Divorce, and the Flute Concerto Night and Now. ​Melina’s first novel, Looking for Alibrandi, swept the pool of literary awards for young adult fiction in 1993 and was released as a major Australian film, winning an AFI award and Independent Film Award for best screenplay as well as NSW Premier’s Literary Award and Film Critics Circle of Australia Award. Melina taught secondary school for ten years, during which time she released her second novel, Saving Francesca followed by On the Jellicoe Road and Finnikin of the Rock. Saving Francesca won CBCA Book of the Year for Older Readers. On the Jellicoe Road won American Library Association’s Michael L Printz Award for Excellence in Young Adult Literature. Melina’s novels have been published in over sixteen countries. Shaming the Devil is Melina’s first adult crime thriller. Bianca is a freelance science journalist, broadcaster and author, who is yet to meet a piece of research she doesn’t find fascinating. In more than a decade of freelance reporting, she has written for publications and websites including Scientific American, New Scientist, Nature, Australian Geographic, Ecos, Australian Doctor, Medicine Today, Frontline Medical News, BBC Future, ABC Science and ABC Health and Wellbeing. 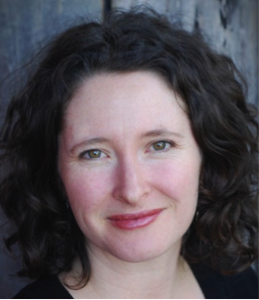 She is also author of The End: The Human Experience Of Death , editor of The Best Australian Science Writing 2015 anthology, and co-author of The Sixth Wave: How To Succeed In A Resource-Limited World. 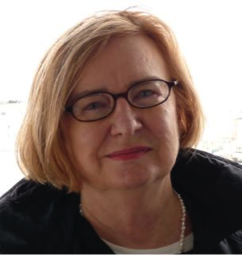 Lyndall has held positions in Australian Studies and Women's Studies at Griffith University and Flinders University and was Foundation Professor of Australian Studies and Head of School of Humanities at the University of Newcastle. She is currently Research Professor in the Centre for History of Violence in Humanities Research Institute at the University of Newcastle. Her Ph.D thesis (1975) was Aborigines in Tasmania, 1800–1974 and their problems with the Europeans. Her book The Aboriginal Tasmanians presented a critical interpretation of the early history of relations between Tasmanian Aborigines and white settlers in Tasmania. A second edition was published in 1996. Her work was attacked by Keith Windschuttle to which she responded in an essay Who is the fabricator? in Robert Manne's Whitewash: On Keith Windschuttle Fabrication of Aboriginal History (2003). ​Melinda won the 2014 Prime Minister’s Literary Award for her fourth poetry collection, Drag down to unlock or place an emergency call. Her poems have appeared in magazines, newspapers and anthologies in Australia and overseas, and have been set to music, hung on gallery walls, projected on ceilings, turned into signs in Old Parliament House and placed in advertising space on buses. She won the David Campbell prize in 2006, and in 2013 the ACT Writing and Publishing Award for First... Then... poems from planet autism. She is also in demand as a performer of her work, appearing most recently at 2016 Poets’ Picnic and at the Brett Whiteley Studio. She is currently poetry editor of The Canberra Times. ​Anne is a journalist and author. 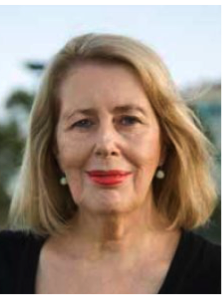 Her books include The Misogyny Factor (2013), The Lost Mother: A Story of Art and Love (2009, 2010), On Luck (2009), The End of Equality (2003), Ducks on the Pond (1999), Gamble for Power (1983), Her-Story: Australian Women in Print (1980). In 1987 in New York she was editor-in-chief of the American feminist magazine Ms. She ran the federal Office of Status of Women from 1983-86. In 1989 she was made an Officer in the Order of Australia for services to journalism and women. In 1975 her book Damned Whores and God’s Police changed the way women were perceived. It has been republished in 2016. 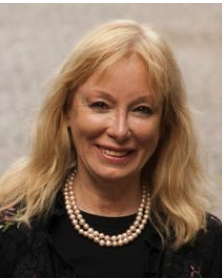 Sue is Professor of Communication and Media at the University of Wollongong where she is also Discipline Leader for Creative Industries and Director of the Research Centre for Texts, Culture and the Creative Industries. 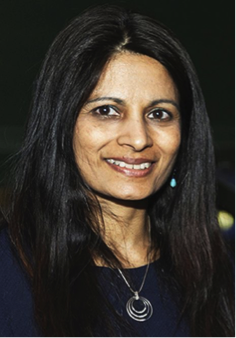 Her interests include representation of crime in the media including crime fiction and television crime drama with particular focus on the transnational career of crime series; history of television as a medium; its various forms and social role in a range of diverse locations and Australian screen comedy. Her latest book is The TV Crime Drama published by Edinburgh University Press, and she is currently writing a book on media audiences. From 2007-10 she was television reviewer for ABC Radio National Breakfast and since 2006 has reviewed crime fiction for Fairfax Press. ​Sue is author of four novels, including Leaning Towards Infinity, which won the Christina Stead Award and the Asia Pacific Region section of the Commonwealth Writers’ Prize, and was shortlisted for the Tip Tree prize in the US. In 1999 it was named in Australia as one of the most important books of the century. Her first novel, Painted Woman, was nominated for the Commonwealth Prize, and was runner-up in the Australian Bicentennial Award. She has adapted both novels for ABC radio, for the professional stage, and Leaning Towards Infinity has been optioned for a film in the US. Her third novel, The Secret Cure, is being adapted for an opera. She taught Creative Writing at Sydney University for nine years and now teaches at NIDA. She is the co-founder of the authors’ publishing and bookstore co-operative, Wuthering Ink.